Groups were developed within participating congregations. 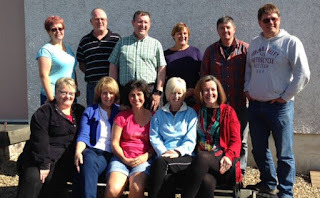 These groups agreed that they would give time to learn, share and pray together and that the things they had learnt would be shared with the wider congregation. The changes are therefore neither cosmetic, nor dependent upon the minister currently in post remaining there. Instead, the whole culture of the local church should be changed to become more outward focussed with revitalised worship and congregational life. Our local group has had twelve people who have been meeting together every fortnight. As well as learning, sharing and praying together the members of the group have been involved with leading worship. “I have grown up within the Church here and have seen many changes. Recently, a member of the congregation shared: "I'm still not entirely sure what Path of Renewal is all about - but I can see the difference in those who are involved." That is a story of Growing in God, affecting not just individuals but a congregation and whole community.